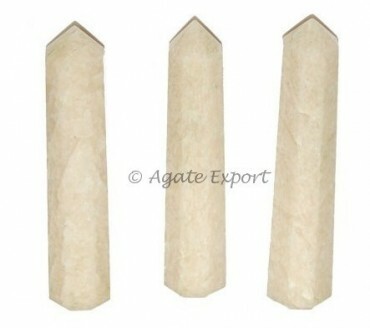 Moonstone obelisk point can be kept near for a spiritual experience. It removes stress from your life and makes your life stable and balanced. You can get this product only on Agate Export at a fair price. It is 3-4 inch long.